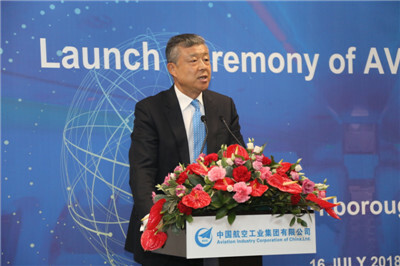 It is a real delight to join you at the Launch Ceremony for AVIC Cabin Systems. 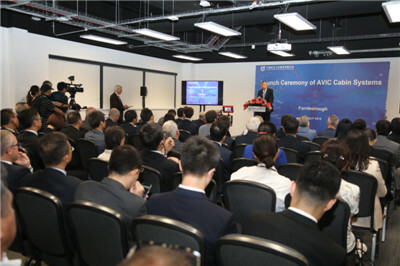 Two years ago, in the opening year of the China-UK "Golden Era", I attended the Ceremony of AVIC International's Acquisition of AIM Altitude. I had the honor to witness a new chapter for China-UK cooperation on aviation. Today, as the "Golden Era" shifts into a higher gear, it is exciting to witness the launch of AVIC Cabin Systems and see China-UK cooperation on aviation moving up to a new level. This achievement has not come easily. It is a result of the attentive care and active support of the governments of our two countries as well as the hard work of the aviation industries. Today's event will have a significant impact on the aviation sector in both China and the UK, and the world aviation development. First, this event marks a new step in building the China-UK "air corridor". As early as 1997, the Aviation Working Group was set up under the China-UK Joint Economic and Trade Commission. Its task was to enhance cooperation on aviation technology and engineering. This has laid a solid foundation for China-UK partnership in aviation. Twenty years later, a major outcome was reached at the ninth China-UK Economic and Financial Dialogue to expand air traffic right. According to this arrangement, the number of direct flights between our two countries was to increase by 50% to 150 per week. Recently, Chinese airlines opened five new direct flights between China and the UK. It is amid such an exciting development that AVIC Cabin Systems is born. This meets the need of upgrading China-UK "air corridor". It is a vivid example of the thriving cooperation between our two countries on aviation. Second, today's event represents a higher level of China-UK cooperation on aviation. Britain is a world leader in aviation. Its aviation industry has a long history, a solid foundation and impressive capabilities in research and innovation. The Chinese aviation industry, though a late starter, has grown rapidly to become an important pillar of China's economic restructuring. China is the world's most promising aviation market. By 2020, China will have over 500 general aviation airports and more than 5,000 general aviation aircrafts. Aviation is a sector of huge potential for China-UK cooperation. We each have our respective strengths. We can work together in a number of fields, from building the industrial chain to innovation and personnel training. With today's launch of Cabin Systems, AVIC is upgrading resource allocation and improving business and product layout. This will enable airlines and aviation companies from both countries to identify new growth points in their cooperation, improve the quality of their products and services, and explore the global market. In short, this will allow the aviation industries of China and the UK to pool their strengths. Third, aviation sector offers new opportunities for China-UK cooperation on the Belt and Road Initiative. The BRI represents an important step of China's new round of opening up. It is a platform for the broadest possible international cooperation. It is in keeping with the trend of economic globalization. Under the framework of BRI, Chinese companies are working on better aviation infrastructure, expanding their international air transport market and building all-round connectivity. Last month, China issued Special Management Measures (Negative List) for the Access of Foreign Investment (2018) to further increase access to the manufacturing sector. Foreign-ownership limits for manufacturers of certain aircrafts, including trunk route aircraft, regional aircraft, general-use aircraft, helicopter, drone and aerostat, are removed. These measures will help accelerate the integration of China's aviation industry in the global supply chain. They will also create growth opportunities for global partners, including those in the UK. Now, we are faced with the surging protectionism and unilateralism in the world. But these measures represent a strong voice for openness and win-win cooperation. I encourage the aviation companies from both countries to seize this opportunity to forge closer partnership. I hope you will play an active role in building the Belt and Road and contribute your part to the China-UK "Golden Era"! In conclusion, I wish the AVIC Cabin Systems success! And I wish AVIC greater achievements in the future!